RepeaterBook - Find repeaters across the world. Powered by the popular community database of RepeaterBook.com and software of ZBM2.com RepeaterBook, enables you to easily find repeaters across the world, for free and without a network connection. Easily submit updates and additions from within the app. Growing World Wide Database for - USA, UK, Canda, Argentina, Australia, Austria, Belarus, Belgium, Bulgaria, Brazil, Cyprus, Cayman Islands, Chile, Czech Republic, Denmark, Finland, France, Germany, Guernsey, Greece, Hungary, Iceland, India, Ireland, Isle of Man, Italy, Luxembourg, Malta, Namibia, Netherlands, New Zealand, Norway, Poland, Portugal, San Marino, Slovak Republic, South Africa, Spain, Sweden, Switzerland..
Support for English, Argentinian, Catalan, Danish, Dutch, Finnish, French, German, Italian, Norwegian, Polish, Slovak, Spanish and Swedish languages (Android). 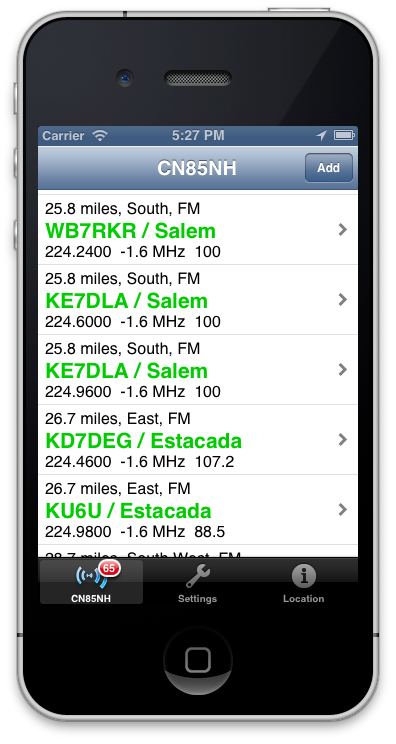 ** Android Only ** Now Supports BlueCAT - Yaesu and ICOM Bluetooth CAT interfaces Versions for ICOM (7000, 7100) and Yaesu (FT-857, FT-817, FT-897, FT100D) - Touch a repeater to instantly set your radio. 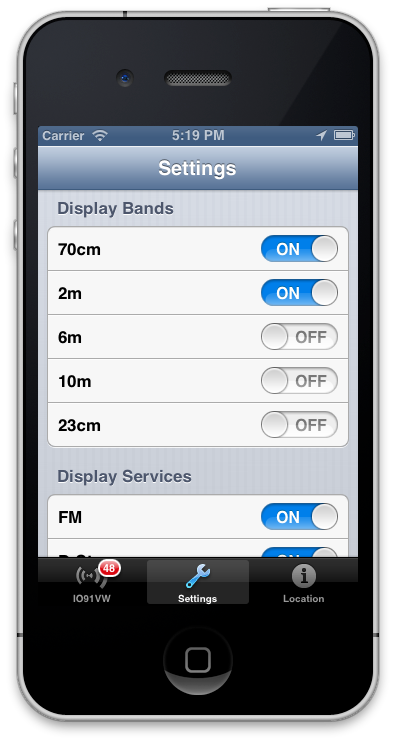 Displays your locator and selection distance. Comprehensive selection, sorting and display options. 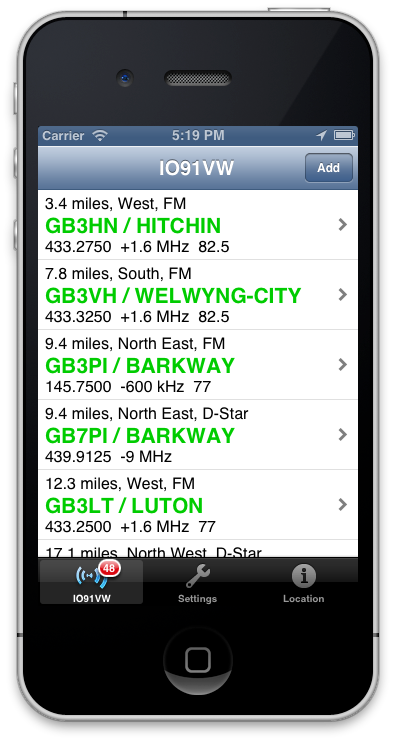 Displays distance, heading and full repeater details. 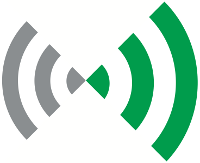 Fast and flexible, designed to help you use the repeater network. RepeaterBook will always be free! You can follow ZBM2 on Facebook for the very latest news.